The Arts Excite is a project that commissions young people to work on creative arts based projects that change their community. Having worked with them before on the design of a promotional postcard, I was asked to create a new logo for the project. 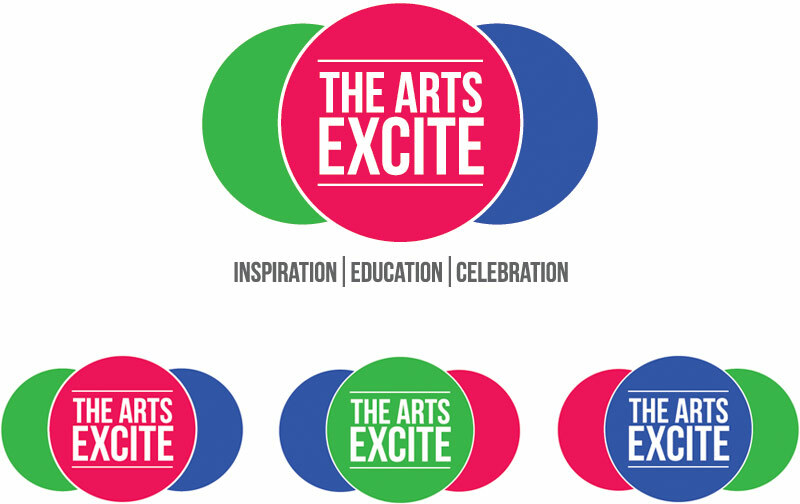 Representing the three aims of The Arts Excite – inspiration, education and celebration – the logo was created in a series of colourways.